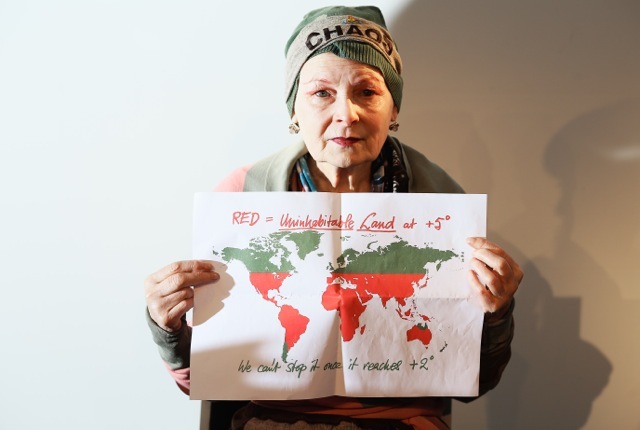 Vivienne came well prepared with a shocking map: With 5 degrees of global warning (which is what the International Energy Agency, World Bank, and Price Waterhouse Coopers predict), more than half of the planet will be un-inhabitable. Once 2 degrees of warming are reached, further warming will be inevitable and unstoppable. „That map means mass extinction. We are talking about terrible damage being done for example in the Alberta tar sands“. 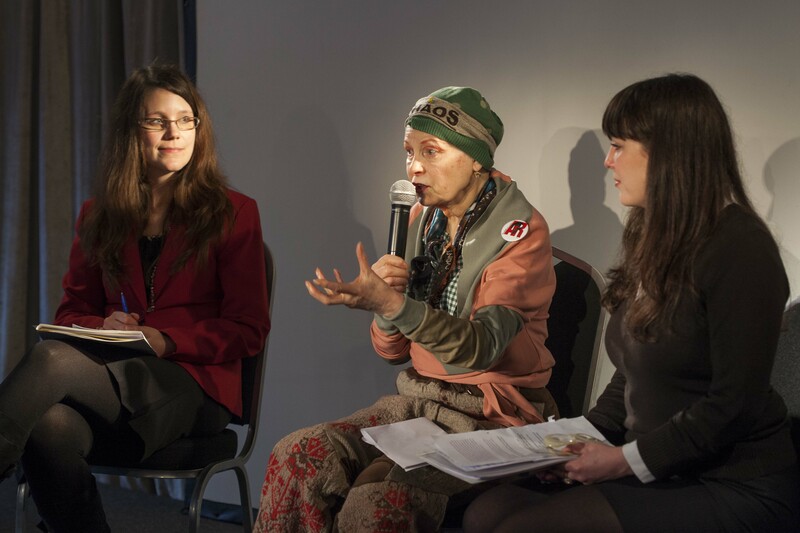 Next to the Canadian tar sands where the government is now planning to flood a fertile valley with a dam to create energy for the oil extraction operations, causing another ecocide, not to mention the toxic operations of tar sands themselves, Vivienne strongly criticised the UK government’s fracking plans. „We are on an unstoppable course unless we stop“, she explains, „and we have to stop people. And that’s why fracking is so important in this country. We’ve got to stop fracking“. 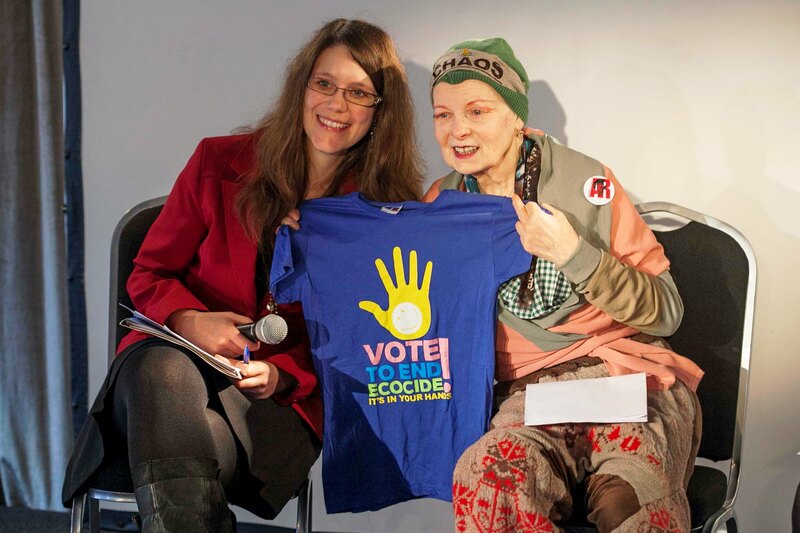 As Prisca explained, End Ecocide is not linked to any political party. We have supporters from a variety of parties – for example Jo Leinen from the social democrats in Germany and Corinne Lepage, a French Liberal. „The beauty of ecocide is that it fits with any kind of ideological ideas you may have“. For Greens the link is obvious. For social democrats, the law of ecocide prevention will ensure social justice and that those responsible for damage are liable and pay for it (rather than those currently suffering who are usually poor, disadvantaged and disenfranchised communities, such as indigenous populations, mine workers or people living close to fracking sites). From a liberal point of view, if we destroy our planet, we won’t be free to act anymore, we’ll lose our liberty. And last but not least, the law of ecocide prevention clearly fits with conservative values, as the whole point of the law of ecocide is to conserve and to preserve this planet for future generations. She was particularly impressed by the volunteers-only nature of the citizens‘ initiative and by Prisca starting the initiative only with a small team. „One person. Trying to do something. That’s what everybody has to try to do. One person. No matter how effective you are. I’m talking to you, if you then go to speak to somebody else, I’ve done my job. I’m helping to save the world“. We can all help save the world and start today by adding our signature to the citizens‘ initiative at www.endecocide.eu. Vote now if you haven’t done so yet and spread it widely! Only 7 days left!